The lawyers and attorneys at National Injury Help are investigating and accepting Paradise /Camp /Butte Country wildfire lawsuit claims. With these lawsuits we expect large cash claim settlements from any potential fund earmarked by utility company PG&E to cover wildfire victims in Paradise, and Butte Counties. If you or someone you know was affected by the Camp Fire in Paradise California, please contact us today for a free case review. Paradise & Butte County Wildfire Lawsuit Claims and Settlements. The region of Paradise California and areas of Butte County were severely burned and affected by the Camp fire. This is the largest man made fire in California’s history. Every single claim will be fully investigated and we expect a large settlement from PG&E. Regions within each of the burn areas may also file wildfire lawsuit claims today. 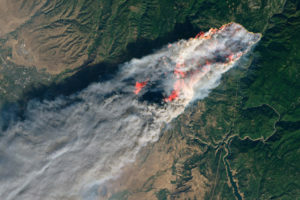 NASA Space Shuttle picture of the Camp Fire in Paradise California. If you do not see your location listed, please call us directly at 1-800-214-1010, or use the form on this page. Our locally based (Sacramento, Ca) wildfire lawyers are ready to hold PG&E accountable for these man-made wildfires. Who can file a Paradise Camp wildfire lawsuit claims? How did the Paradise Fire Start? Who’s to Blame? Camp Fire Lawyers ready to Litigate for Victims. The lawyers and attorneys at National Injury Help are investigating and accepting Camp Fire / Paradise, Butte Country PG&E wildfire lawsuit claims. 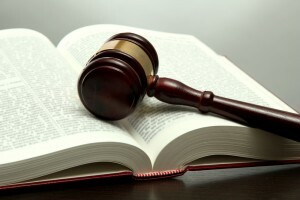 With these lawsuits we expect large cash claim settlements from any fund that may be earmarked by utility company PG&E to cover wildfire victims in the Paradise California area. 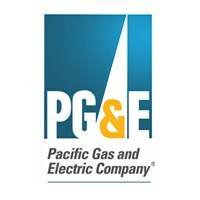 (PG&E in the past allocated $800 million in such a fund).